The following article has been translated into English through the collaboration of Xavier Bartlett, the Assistant Editor of DOGMACERO magazine, and Mark Grant, an independent Canadian researcher, blogger and author of A Tale of Two Synchronicities – Mapping Hidden Event Horizons. Based on an earlier article written in Spanish, it concerns the full story of the now-famous ‘Atacama Being’, which was showcased in the recent documentary film Sirius. The original piece was written by David Alvarez, an independent researcher, expert in ufology, and managing editor of DOGMACERO. 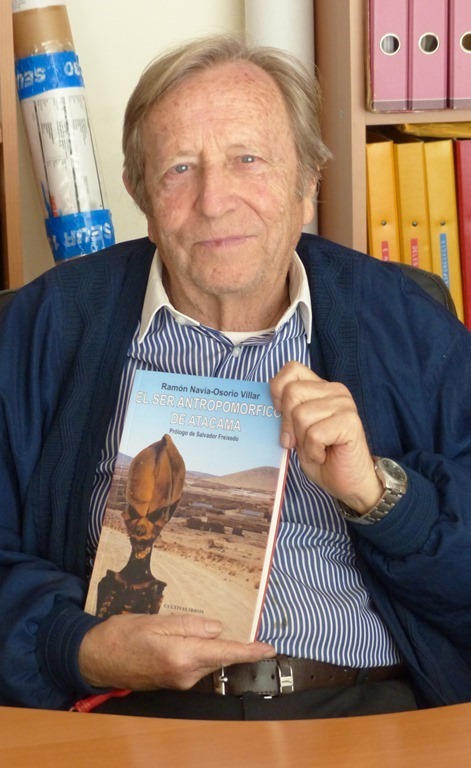 It was based on Mr. Alvarez’s interview with Ramón Navia-Osorio Villa (Mr. Navia), who had been working with the ‘Atacama Being’ for several years prior to the release of Sirius. On April 24, (2013) the documentary Sirius premiered. It was directed by Amardeep Kaleka (winner of a 2010 Emmy) and inspired by the work of Dr. Steven Greer and the Disclosure Project team. This film was dedicated to revealing the reality that is behind the so-called UFO phenomenon and the possible cover-up by various governments around the world, and especially the government of the United States. This well-funded work, of excellent manufacture in the purest “Hollywood” sense, documented the work carried out by Dr. Greer and his team to uncover what governments know about alleged contacts with civilizations of non-terrestrial origin. For years, the Disclosure Project has been working to make the international public aware of the importance of this issue. However, to be honest, Sirius would have been ‘just another’ (well-structured and well-presented) documentary, among many existing ones, had it not included a really spectacular and unique it which – if the hypotheses insinuated by Dr. Greer were confirmed – could become definitive proof of an extraterrestrial presence on our planet from a long time ago. 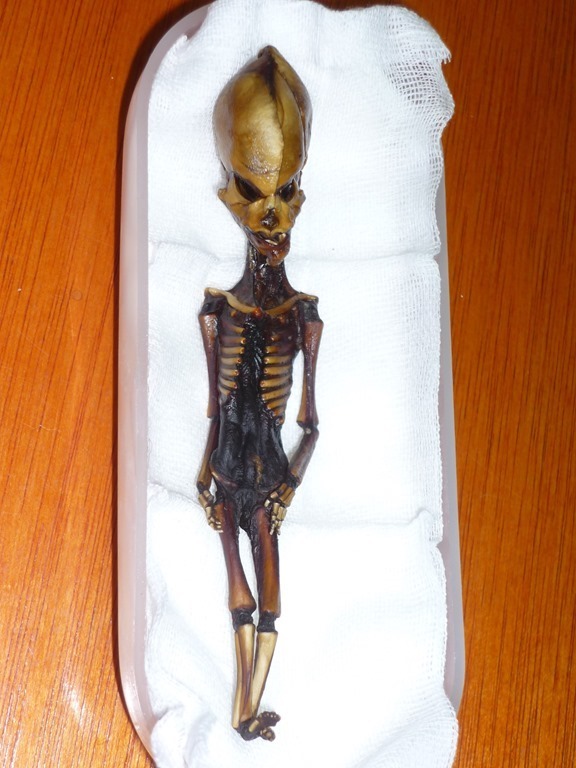 The documentary presented, as a world exclusive, the mummified remains of a supposedly extraterrestrial tiny being – “extraterrestrial” I must emphasize, in opinion of the team that carried out the documentary – that was found in the Atacama desert in Chile. The news spread quickly in social networks and the Internet, and with much controversy. Supporters and detractors of the origin of “the being” tended to engage in highly unsubstantiated discussions. As it happens too often in these cases, the authors of various websites copied to each other without even going to the primary sources nor without bothering to explore the abundant existing documentation. I would like to assume that due to mere “negligence” Dr. Greer presented what he dubbed the “Atacama Humanoid” while only scarcely mentioning the person whose effort, dedication and resources ensured that this specimen did not fall into oblivion or, even worse, become a media show. Here I refer to Ramón Navia Osorio-Villar, President of the “Instituto de Investigación y Estudios Exobiológicos” (Institute of Research and Exolobiological Studies), with headquarters in Barcelona. It is not until the minute 26 of the documentary that Greer recognizes that “there is a man that I cannot talk about who runs an institute in another country” who enabled him to access the Atacama specimen. This man (pictured here) is Ramón Navia. Those who think this story is new are wrong. Mr. Navia, who has traveled all around the world searching for evidence of the existence of this phenomenon, has been showing what he calls “Atacama anthropomorphic being” since 2003 (i.e., ten years ago) to various scientific institutions that could certify that it is a real anomaly. The being has been submitted to several tests (x-rays, CT scans, DNA analysis… ) and studied by various professors of biology, doctors and forensic anthropologists from several universities, who have not been able to fit into currently known classifications. DogmaCero has interviewed the real protagonist of this story, Mr. Ramón Navia, in an effort to go to the most original source. This is the true story of the “Atacama anthropomorphic being” (hereafter referred to as “the being” or “the specimen”). I wanted to interview Ramon Navia-Osorio Villar, whom I have known personally for almost 40 years. 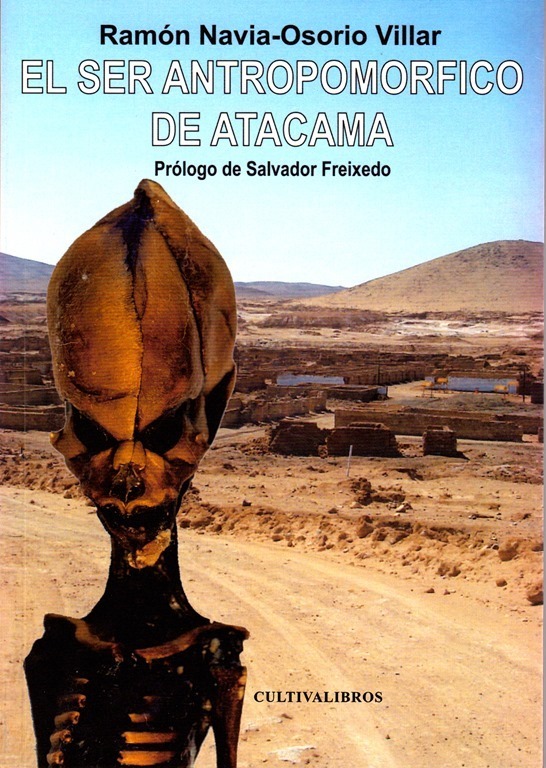 Since a few days ago, when I called to talk about the “Atacama humanoid” (although not by that name), discussions of this strange being had garnered much attention in specialized forums, I found the perfect time to do so. Ramón Navia was a pilot in the Merchant Navy and subsequently served in multinational information technology, then moved on to manage his own business. He has toured around the world, sometimes for professional reasons while, at other times, for the purpose of investigating cases that related to sightings of the “unidentified”. And the first question, although recurrent, was inevitable. DogmaCero: How do you see the current landscape of national ufology? Ramón Navia: A disaster. It does not exist. Virtually nothing is going on. It is true that there are many journalists, reporters, popularizers… excellent people to consult if you ask them for information, but there are no field researchers in the field, as we used to know some years ago. DC: How long have you dedicated yourself to the UFO research, Ramón? RN: (deep sigh…) I really don’t know, I’ve never counted the time. This is in my veins. When I was a child, while my friends were reading “El guerrero del antifaz” or “Roberto Alcazar y Pedrín” [Spanish publications for young people] I enjoyed reading “Flash Gordon”: spaceships, inhabitants of other planets, distant stars… I remember, back in 1960, I was struck by one of the first cases that I could read in the press, which took place in Bahía Blanca (Argentina), in which an unidentified object was detected by the Argentine Navy in the interior of Bahia Blanca. With the help of the U.S. Navy, they cordoned off the area and blocked any possible escape. But then, completely inexplicably, that object disappeared. I admit that this case became a turning point for me, but some time before I had already been interested in these cases. I remember one of the first books I read was “Incident at Exeter” by Frank Edwards which is the first of thousands of books and documents I have read on Ufology and related topics. RN: I belonged to the CEI (“Centro de Estudios Interplanetarios” – Center for Interplanetary Studies) where I was a field researcher. In those times the president of this organization was Mr. Casas Huguet and the headquarters were on Balmes Street, in Barcelona (Spain). I told the General Secretary that we needed to get a telephone line so that potential witnesses of sightings and other people with whom I interviewed could communicate with us because many people asked us for a contact telephone. The team who managed the CEI didn’t agree and this was the trigger (along with differences about how to approach the study of the unidentified) for starting a path on our own, along with Alberto Vallès, and creating the II.EE. RN: Because in the society in which we live, the name is very important. This was not “flying saucers”, which had already begun to be very discredited. A wrong name can lead to failure. Talking about “flying saucers”, of “gargoyles”, “chupacabras”… can give a wrong idea of the type of studies and one’s thoroughness or professionalism. So we decided to give it the name of “exobiological”, although at that time people asked us for its meaning because no one knew it. RN: Oh no! It was much more complicated. We wanted to do the things well, so we commissioned the design of a logo, then registered it, wrote statutes, organized all the material we had… And then a long journey began, full of bureaucratic barriers. Finally, the official who handled our file one day told us that he had written a book that explained all that had to be done to establish and legalize societies. He said: “If you read it and you do it as I say, you will be legalized”. And so we did. After some time, we presented all the documentation and it was accepted, but a last formality was missing: a technical report from the academic field so that the application for legalization could be processed as “Research Institute”. So the entire dossier was referred to the Faculty of Biology of the University of Barcelona. DC: When did all this happen? RN: In1974, but, of course, the procedures were very long. In fact, the first procedures started in 1970. DC: And what was the attitude of the academic world? RN. Well, we were lucky in this case. I remember that we had an interview with Dr. Ramón Parés Farrás, a professor at the University of Barcelona who, to our surprise, was aware of the UFO phenomenon and immediately gave support to our initiative. Interestingly, that was the beginning of our personal friendship and, in fact, he still collaborates with the II. EE. in the case of the “being of Atacama” . RN. Yes, but totally real, I assure you. A case that we almost found by chance. RN. All our research has been focused on UFOs and “on-the-ground-ufology”. When visiting various places, we have found topics that are connected to the UFO phenomenon. I mean, the phenomenon is not only about sightings or encounters; it includes many disciplines that have a certain relationship, although perhaps not an apparent relationship, to the UFO phenomenon. On one occasion, when we were in the desert of Atacama, in Chile, a Quaker told us he had discovered a sort of very small, extremely curious mummified skeleton. When we saw it for the first time it impressed us very much, as it looked a lot like the humanoids identified in ufology as “the greys”. But it was much smaller, it had a bulging skull, very long arms, almond-shaped eyes… in summary, a few characteristics that matched the general descriptions made by some witnesses of a certain type of alien. DC: But the reason for the trip to Chile was the investigation of some cases of sightings reported in Atacama area, wasn’t it? RN: Yes, it was. The reason for our expeditions on the ground is always UFO research. On this trip I was accompanied by Raúl Núñez, our delegate in Chile. While we were there, we found out about someone had discovered the “being”. Ricardo Clotet, a local businessman of Catalonian origin, showed me some pictures that left me astonished, and later he showed it to me physically. Apparently, Mr. Clotet had bought it from a Quaker called Oscar Muñoz, who had found the specimen in a landfill at La Noria. To be most accurate: Oscar Muñoz found it, and Ricardo Clotet’s brother bought it. Then, the first thing he did was to offer it to a Chilean television station. When they presented it to me and told me the story, I saw clearly that if the Atacama being was featured on television, a media circus could follow and ultimately, the specimen might be damaged and, even worse, lost forever. My interest was not about collecting nor business at all. On the contrary, this whole affair has had a cost for the Institute and for me personally, and is still costing us lots of money, without any commercial interest of our own. Our interest is totally scientific, so that this issue could be known and investigated. For the morphology of the being, I immediately realized that it was something very important that should be investigated, protecting it from any kind of show or from a collector who would keep it in a display cabinet. RN: No, no. And not for lack of will. We wanted it to enter our country by the front door, [xbc1] with full transparency, so that it could be investigated by scientific and academic institutions, as it deserved. DC: And what happened then? RN: While we were still in Chile, Raúl Núñez showed the being to a Bolivian doctor, Dr. Raúl Artesana Sanabria, who made a first examination of the being in order to dismiss a possible hoax. After his analysis, Dr. Artesana concluded that it was a physical, real being, and not a fraud. Nevertheless, we told Mr. Clotet that we wanted to examine the specimen at the Royal Academy of Sciences and Arts, in Barcelona. Mr Clotet finally presented it at the headquarters of the Royal Academy. The first goal was to confirm the authenticity of the “being”. And so it was examined by Dr. Ramón Parés, a microbiologist, Dr. Jacinto Nadal, Professor of the Faculty of Biology of Barcelona and Dr. Antonio Tejedo, Professor of Anatomy at the Hospital Clinic of Barcelona. DC: What was the conclusion? RN. After confirming that the composition of the specimen was organic (not artificial or man-made), they pointed out the need for an in-depth study that would facilitate its classification, and Dr. Nadal, according to its constitution, was the first to call it “anthropomorphic being”. This was the first contact aimed to validate the authenticity of the being and to deliver it to the II. EE. Moreover, they gave us some guidelines for the conservation of the mummy, as the environmental conditions in Barcelona are very different from the area of origin, Atacama, which is very dry and rich in nitrate. DC: And from this moment, you started a long journey of trials and tests to find out the true nature of the being, is it so? RN: Indeed, the being was examined by several biologists and physicians, and I noticed, with sadness, that in private they admitted certain things, but in public they said different things. One of them told me that he would not certify his opinion because “I am paying a mortgage”. And on another occasion I was told that it was a really weird specimen, which could not be classified within any currently known scientific types… However, the same man said in public that it was a fetus. DC: What Institutions have examined the “being”? 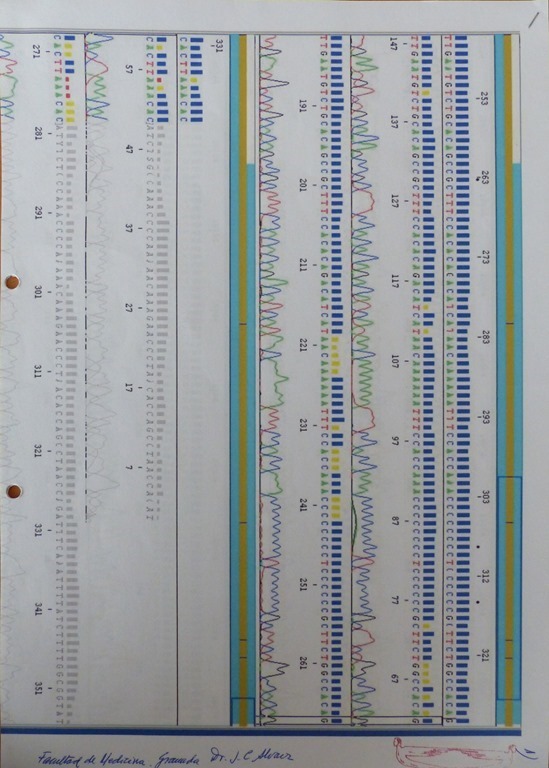 RN: In the book I published at the end of 2011, “El ser antropomórfico de Atacama”, you can see the different analyses that have been conducted by different laboratories, Faculties of Biology, etc. For example, at the University of Madrid, without going into further considerations and almost without examining it, we were told that it was a fetus, despite the fact that the skeleton is perfectly formed, its tips are fully developed, and even it has calluses on the soles of the feet. This being walked! This fact was confirmed at the same University; however, later, when I asked them to confirm this in a written document, they refused and reaffirmed the conclusion that it was a fetus, the same thing that Dr. Tichy of the University of Salzburg told me. DC:So, was the being also analyzed by the University of Salzburg? RN: Yes, but previously in Berlin. In 2005, Mr. Klaus Dona organized an exhibition in Berlin, Unsolved Mysteries (about strange objects with a difficult explanation), and we could present there the finding through his mediation. I want to emphasize that we had no economic interest for this exposure, only asking in return that the being could be submitted for analysis in order to determine the specimen’s nature and origin. Mr. Dona had invited two scientists from the University of Salzburg to the event to obtain a sample of DNA from the being. When they attempted to do this, they realized that the skeleton was fragile and brittle and then decided to move it to the University of Salzburg, where they had better facilities. Interestingly, Mrs. Cristina Aldea, in the absence of Klaus Dona, was provided to translate and was present at these meetings. Mrs. Aldea asked me permission to photograph the Atacama being, and I accepted on the condition that the photos would not be shared nor used in advertising. So, imagine my surprise when, soon after, we saw these photographs presented at a Conference that took place in San Marino in 2006! Finally, the specimen was analyzed at the University of Salzburg, by the same team that had analyzed the DNA of Mozart. DC: And back to Spain, did you conduct new tests? RN: Yes, but then our research branched out into new disciplines. We thought it was necessary to study the environment in which the “being” had been found, from a historical and anthropological point of view. 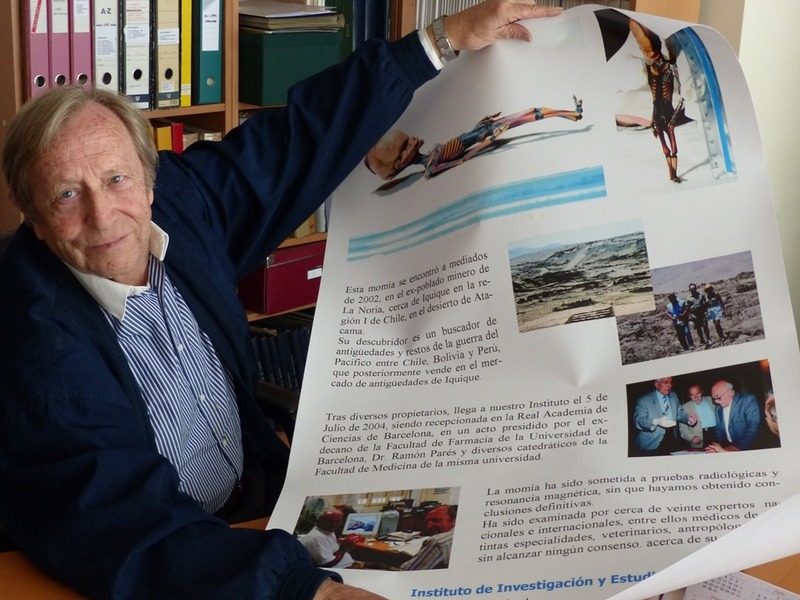 So we got in touch with the anthropologist of the University of Tarapacá (Chile), Bernardo Arriaza Torres, a specialist in the Chinchorro culture and connoisseur of the Andean peoples. 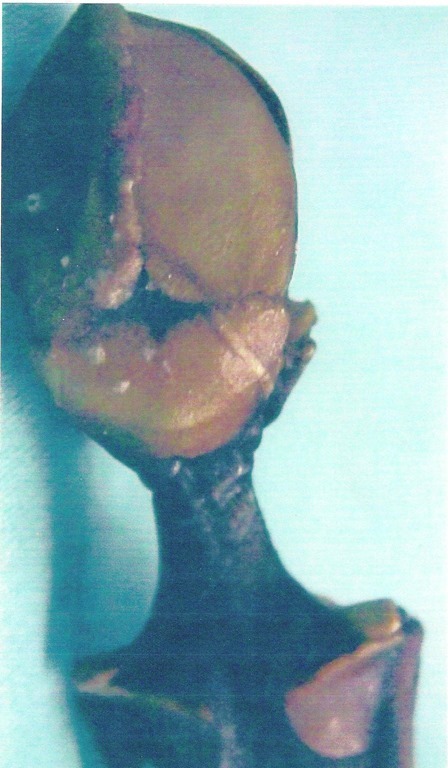 The first meeting took place one night in Arica, and after a cursory review of the specimen he told us that it was a fetus with some type of malformation. The next day he went back to find us at the Archaeological Museum of San Miguel de Azapa, and it was there where he recommended us to present the “being” to a Congress of Mummies which would be held in Lanzarote (Canary Islands, Spain) in February 2007. He told he would give us his support, as he thought that our arguments against the hypothesis of the fetus deserved to be considered. DC: And what was the welcome that you received? RN: We talked to the organizers of the event and we were told that, provided that we didn’t make any promotion of the being in the media, we would be allowed to present a paper at the end of the Congress. We then followed the instructions of the organizers in terms of registration and other matters, but we were shocked when we arrived at the headquarters of the Congress, at the scheduled time, and found out that the hall where we were supposed to make our presentation was closed! RN. Unbelievable, isn’t it? Despite this, we insisted and presented the mummy of the “being” to the participants who were in the hotel. We were really surprised as, without an analysis nor an in-depth examination and in a poorly lit room, everyone stated that it was a fetus. In this Conference we met Francisco Etxebarria Gabilondo, forensic anthropologist and Professor of Legal Medicine at the University of the Basque Country. He was convinced that the specimen was a fetus and promised to give us a written opinion. Well, in that report he stated that the “being” had an umbilical cord, when in fact this is impossible because the umbilical cord is undone by its very nature shortly after birth. What was hanging was not the umbilical cord, but a part of the gut. He also stated that it was a male when, later, an analysis by the University of Granada concluded that it was female. DC: So, did the University of Granada also examine it? DC: You said that, along with these studies, you started a line of research that provided information about the environment in which the specimen lived, right? RN: We came into contact with a Colombian researcher, Gilda Mora, who opened my eyes by telling me that he had news of these beings, which had existed at the time of the Spanish conquest of New Spain and that, even today, there are references of them at a place that is very difficult to access called “El cerro de los enanos” (The Hill of the Dwarves), in Colombia. These stories speak about a civilization of tiny beings, about 35-40 inches, who live high in the mountains. And that fits with the mummy of the specimen we have, because it’s a young being, measuring just 14 centimeters. And we also know that skeletons shrink a little through the process of mummification. DC: But science is settled on the hypothesis of the fetus. RN: Unfortunately, it is so, at least in public. On one occasion Dr. Parés told me that if we obtained a second being, then there would be no doubt, and science would have to reconsider the hypothesis that this was a single fetus. So in 2008 we organized a second expedition, but this time not to document possible UFO cases but for the purpose of finding a second “being” that would confirm that we were facing a challenge which we had to study in depth. Certain information led us to Pachica in the Atacama desert, a place far from where Oscar Muñoz found the first mummy. Pachica is a small village of modest houses and friendly inhabitants. They led us to the place where, as we were told, they had found another very similar corpse in a vessel, in the way the gentiles used to be buried. DC: Who are these gentiles? RN: When we documented the geographical environment in which “the being” should be located, we came across the testimonies of the oral traditions of the Aymara ethnic. We have talked with leaders of the Aymara people who have no doubt that these beings exist and are part of the so-called “pueblo gentil” who lived with the Aymaras. They lived separately but existed and were respected. This people inhabited the area that is currently in the South of Peru, Bolivia and northern Argentina and Chile. Apparently, with the arrival of the Spaniards, many of them were killed and the survivors looked for shelter in the mountains. DC: And could you find some trace of these beings? RN: Unfortunately not, although I have the feeling that we were close. In 2005 there was an earthquake in the area of Tarapacá. We expected to find a burial site in the mountains, where a landslide had occurred, but despite our efforts, we could not find any tomb. We talked to an Aymara leader, Alejandro Capetillo, a chemical engineer by profession, who told us about the existence of some terraces where these beings grow maize. We also talked to an Aymara Indian who referred us to another place inhabited by those beings, but it was very difficult to access. Unfortunately, we had to take our flight back to Spain and didn’t have enough time to get there. That was a pity because I am convinced that with a little more time we would have been able to locate a mummy of another one of these “beings”. It remains a pending issue. 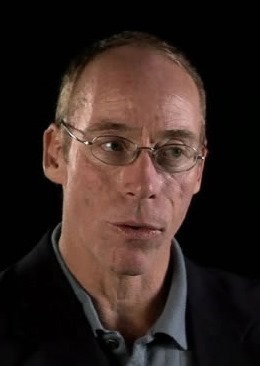 DC: What role plays Dr. Steven Greer in this affair? RN: The first time I talked to Dr. Greer was in Sitges (a town near Barcelona), as a result of the Congress of EXOPOLITICS, in summer of 2007. I invited him to visit the center of the II.EE. and it was there where I showed him the Atacama anthropomorphic being. His reaction after his first observation was to tell me that it was not human. And he is a doctor! He didn’t come back to see us again until September 2012, when he flew from United States to Barcelona to examine again “the being” and film it. Some weeks earlier we had had a long telephone conversation, mediated by a South American lawyer as translator. The feeling I had was that Dr. Greer intended to document an article, but I didn’t think that he would come back to Barcelona, as he had shown little interest since 2007, when he first saw the “being”. Finally, at the end of summer 2012, he returned with Dr. Bravo and his team. Then we went to a Radiology Center to make x-rays and CT scans, and extract DNA from the specimen. DC: And from those elements, Dr. Greer and his team produced the documentary of Sirius Disclosure, is it so? DC: And with the perspective that you’ve gained from this experience and the long way done, what is your opinion about the nature and origin of the “being”? RN: I believe that we have something very important here. And those who have carried out analyses and studies from different scientific sectors know this, but they are afraid to confess it publicly. I am really surprised that there is no further interest by the academic establishment in initiating an in-depth investigation. It’s like something that frightens them. We try to be very careful, avoid advertising and proselytizing of any kind. We are focused on our issue: the research of the UFO phenomenon wherever it may be. It has been very recently, as a result of the documentary by Dr. Greer, that this matter has gained significant relevance. And what I regret most is the fact he has labelled that “being” when we actually still don’t know for sure its nature. Wouldn’t it be more appropriate to dub it “the Atacama anthropomorphic being”? Because ultimately, so far we just know that it is a being of human appearance found in the Atacama desert. DC: But don’t you think that it really may be a humanoid, as Dr. Greer describes it? RN: What I think is one thing and what I can say with certainty is something else. I think that, with the evidence we have and the experiences that I have been able to get from my contacts in my various trips to the area, we could indeed be dealing with a specimen of a race that came to Earth in ancient times. We do not know what could have happened, but for unknown reasons they may have been caught without the possibility of return and took refuge in the Andes (maybe because the weather and pressure conditions resemble their place of origin) where they reproduced and formed a type of highly discreet social organization. Interestingly, these beings – according to the references that we have obtained both in Chile and Colombia– are nocturnal. That is what I believe. What I can say is that the being is real, of an organic nature and an anthropomorphic appearance that does not fit any known human type. And we have a long way to go in terms of research. best way to get higher rankings online for anyone who is a pornographic material site webmaster.